I notice that I got another mention on wcnews.com last week. I don’t know how long it will last but it’s certainly increased site traffic. Since I don’t appear to be able to post on the forums having only registered recently, I’ll say thanks here instead. 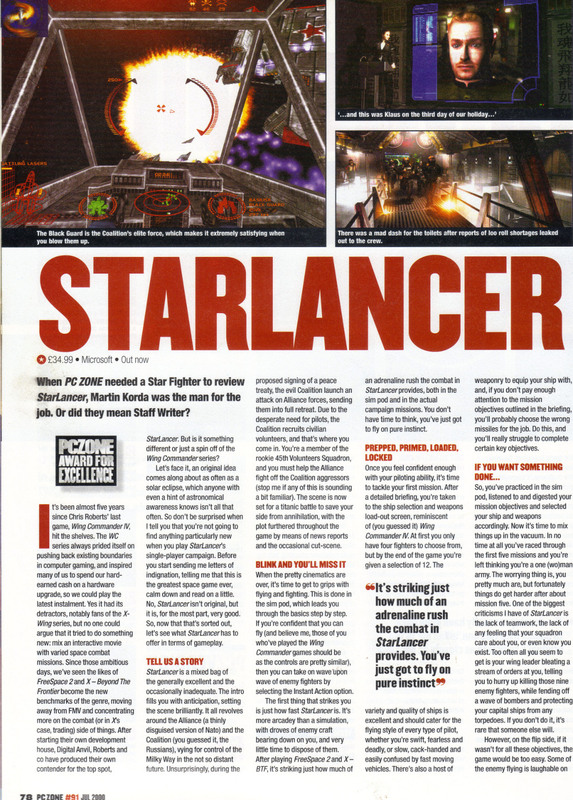 Having just finished the game, I thought I’d post the PC Zone review of Starlancer from July 2000. They appeared to like the game a little more than I do, especially the multiplayer mode which I haven’t tried out myself. 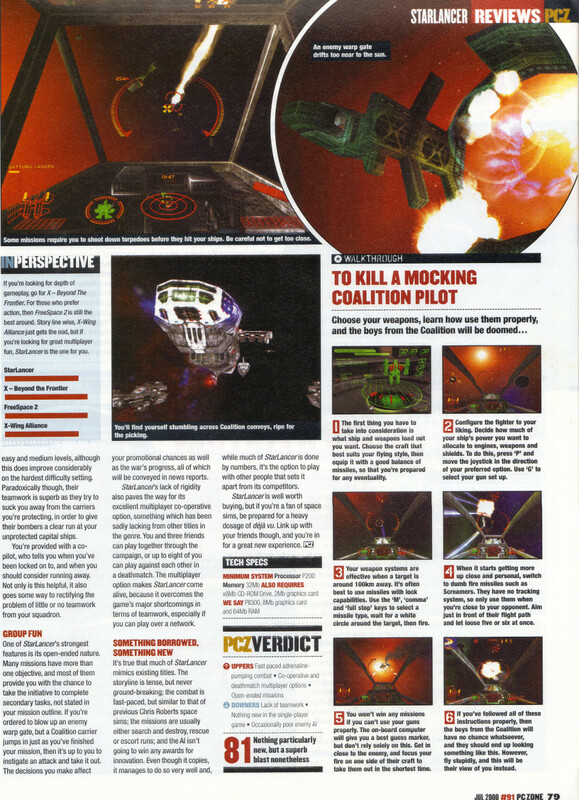 This entry was posted in Magazine Scans, Origin Related, Starlancer by Pix. Bookmark the permalink.